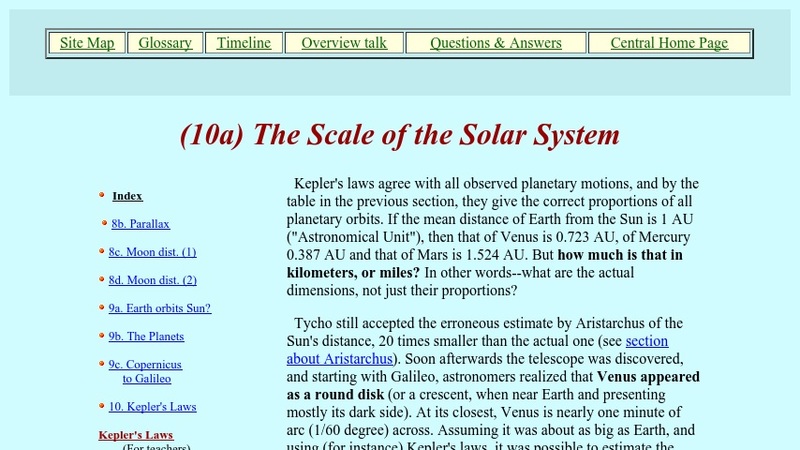 Users can read about how distances are measured in the solar system. Attempts by early astronomers to estimate distances and ongoing work to establish and refine the astronomical unit (the mean distance from the Earth to the Sun) are described. This is part of NASA's online book entitled "From Stargazers to Starships" and links to other parts of the site and to related topics are provided.